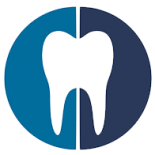 At Corsi Dental Associates we strive to offer exceptional dental care in Woodbury and the surrounding area. That’s why we’re happy to offer the best teeth cleaning services around! As you probably know, keeping up to date with your oral health makes a world of difference, because after all, there is nothing worse than getting a toothache out of the blue. Our teeth cleaning services are the perfect way to stay up to date at the dentist because our hygienist will do a thorough examination of your teeth while taking care of any trouble areas. We’ll also let you know if there’s anything you can work on at home! But what does the average cleaning session look like? As a matter of fact that’s the topic of today’s post so keep reading to learn more! At the end of the day, everyone wants to have strong and healthy teeth. A couple of dental cleanings a year will go a long way towards that goal, because as much as we brush and floss, the truth of the matter is that it takes a dental exam to really be sure that what we’re doing is effective. After all, all you can do is your normal routine. If you don’t have a dentist point out some potential problem areas then there’s no room for improvement (which, of course, leads to toothaches, fillings, and even root canals). So what exactly can you expect when you visit Corsi Dental Associates to get your teeth cleaned? First and foremost, we want you to know that you’ll be greeted with a smile. We know that a trip to the dentist’s office can be a big cause of anxiety for many people and that’s why you should know that we’ll go above and beyond to ensure that you feel at home while you’re here. As far as the actual dental cleaning goes, we’ll use cutting edge dental technology to get a good look at what’s going on inside your mouth. You can also expect us to ask you if you’ve had any issues with brushing or flossing. From there, we’ll get started cleaning off the front, back, and chewing side of each tooth in your mouth. We’ll also polish your teeth to ensure that they’re nice and shiny and clean when we’re all done! You can also expect us to rinse your mouth out, do a bit of flossing if necessary, and point out anything we think you should know. Because it’s a process that is tailored to suit the specific needs of the individual, this is as specific as we can be in a blog post. The main takeaway is that we’ll be courteous and gentle throughout the process. At Corsi Dental Associates, there’s nothing to fear when it comes to a dental cleaning! You can learn more about cleaning and x-rays here, but you should know that we offer a number of comprehensive dental care services to ensure that no matter what your situation looks like, we can help. From general dental exams to extractions to implant restorations to root canals (which really aren’t as bad as they’re made out to be! ), we can do it all. We know that you have a choice for who you visit for teeth cleaning, x-rays, exams, but you should know that at Corsi Dental Associates we pride ourselves on offering exceptional customer service that puts the patient first. Regardless of the situation that you find yourself in, you can count on us! Whether you’re in need of a checkup or cleaning or you’re new to the area and searching for a new dentist, we’d love to help. Contact us today to schedule an appointment!